The first three images below represent the public spaces on the first floor. The fourth is the exterior beyond the barriers. The fifth shows the new security fence. And the last two are the newly-designed rooms on the family's second floor. 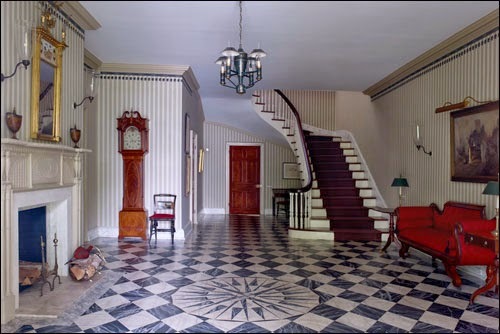 As far as the interior, on the last of the public tours, when we visited the living quarters on the second floor, I learned that, once a mayor is in residence, this floor becomes off limits. 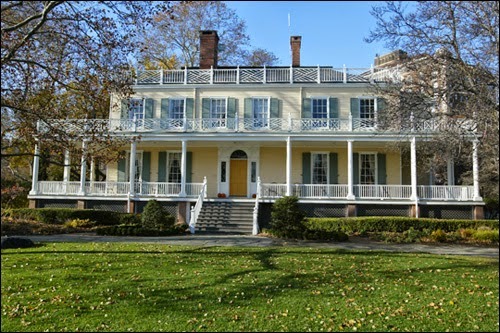 Of course, this mansion overlooking the East River stood vacant for 12 years, during the Bloomberg era. 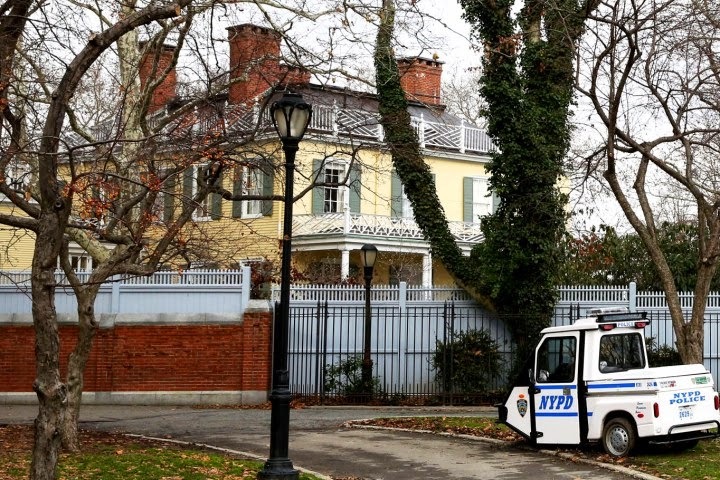 (Mike Bloomberg preferred to reside in his own mansion on East 79th Street.) 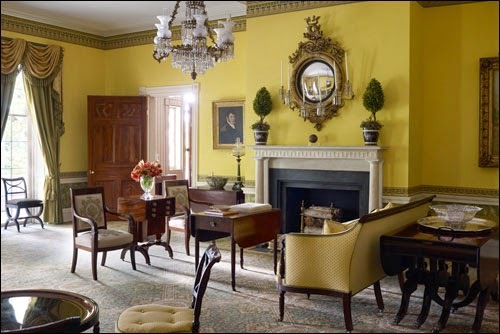 But he spent millions of his own money, restoring and renovating this sun-filled Federal house where every room comes with a fireplace and is bedecked with a flourish of details. The oldest piece of furniture in the house dated from the 1600s; and a rare, five-leg, 200-year-old settee was found in a hallway. (Who knows if these antiques remain, though typically the public spaces can't be touched.) 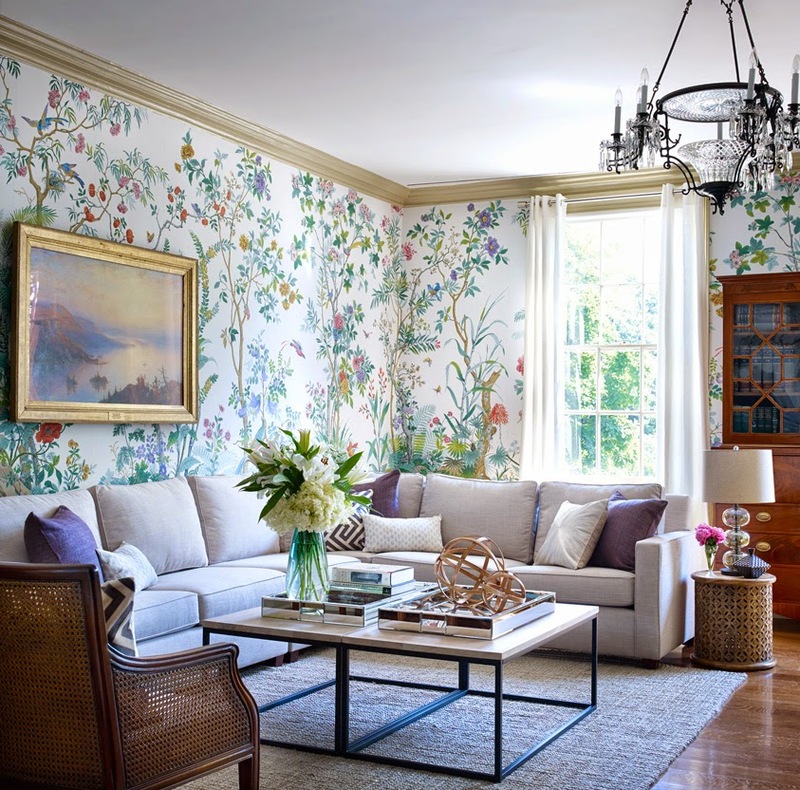 On the second floor at that time, a sunny suite has one of its two room is lined with floral wallpaper. This is where Nelson Mandela once stayed. A master bedroom was outfitted with an antique four-poster bed where wood pineapple carvings represent hospitality; and a guest bedroom contains faux bamboo (really maple) furniture. 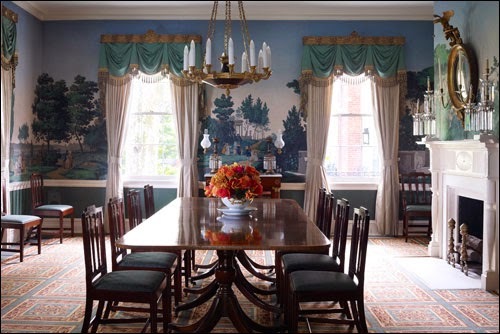 The De Blasio's decided to go with a contemporary but hardly luxe design ethic, reminiscent of what one might find in a well appointed first apartment of a new university grad. Normally photography of the family quarters is banned but not in this case, most likely because West Elm in Brooklyn supplied the furnishings and are using this as a PR coupe. After seeing the pendant globe lights and L-shaped purple couch with different colored throw pillows perhaps it's no great loss that the public won't be exploring the second floor.